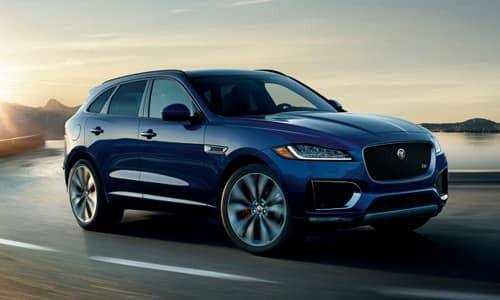 New 2019 Jaguar F-PACE Premium 25t Premium, $429 per month lease, 36 month lease, 10,000 miles per year, $4,695 total out of pocket, $0 security deposit, $895 acquisition fee and first month's payment, excludes retailer fees, taxes, title and registration fees, processing fee and any emission testing charge. Actual rates and payments of closed-end lease may vary. Supplies are limited. For well-qualified lessees as determined by approved lender. Not compatible with other customer credit offers or incentives. All amounts shown are estimates, retailer sets actual amounts. Lessee responsible for insurance, maintenance, excess wear and excess mileage over 22,500 miles at $0.15/mile. Based on MSRP of $47,000. Termination fee may apply. Customer must take new vehicle delivery from retailer stock by 4/30/2019. Jaguar or approved lender may rescind or amend this offer without notice. Dealer not responsible for typographical errors. See Jaguar Land Rover Treasure Coast for complete details. 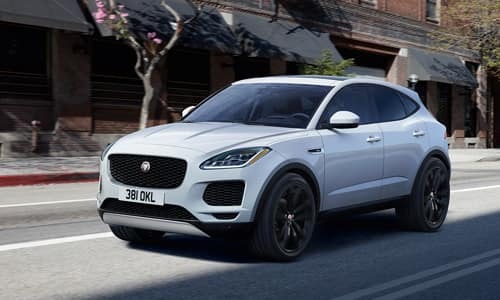 New 2019 Jaguar E-PACE Premium S P250, $399 per month lease, 36 month lease, 10,000 miles per year, $4,095 total out of pocket, $0 security deposit, $895 acquisition fee and first month's payment, excludes retailer fees, taxes, title and registration fees, processing fee and any emission testing charge. Actual rates and payments of closed-end lease may vary. Supplies are limited. For well-qualified lessees as determined by approved lender. Not compatible with other customer credit offers or incentives. All amounts shown are estimates, retailer sets actual amounts. Lessee responsible for insurance, maintenance, excess wear and excess mileage over 22,500 miles at $0.15/mile. Based on MSRP of $40,900. Termination fee may apply. Customer must take new vehicle delivery from retailer stock by 4/30/2019. Jaguar or approved lender may rescind or amend this offer without notice. Dealer not responsible for typographical errors. See Jaguar Land Rover Treasure Coast for complete details. 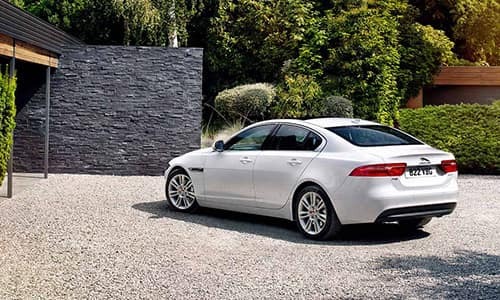 New 2019 Jaguar XE 25t RWD, $299 per month lease, 36 month lease, 10,000 miles per year, $3,695 total out of pocket, $0 security deposit, $895 acquisition fee and first month's payment, excludes retailer fees, taxes, title and registration fees, processing fee and any emission testing charge. Actual rates and payments of closed-end lease may vary. Supplies are limited. For well-qualified lessees as determined by approved lender. Not compatible with other customer credit offers or incentives. All amounts shown are estimates, retailer sets actual amounts. Lessee responsible for insurance, maintenance, excess wear and excess mileage over 22,500 miles at $0.15/mile. Based on MSRP of $36,995. Termination fee may apply. Customer must take new vehicle delivery from retailer stock by 4/30/2019. Jaguar or approved lender may rescind or amend this offer without notice. Dealer not responsible for typographical errors. See Jaguar Land Rover Treasure Coast for complete details. 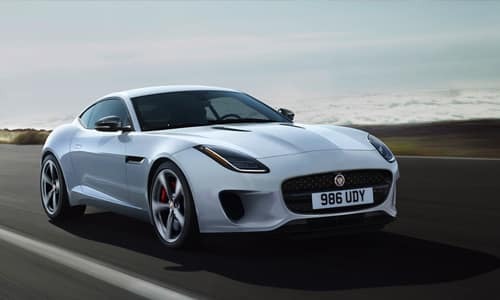 New 2019 Jaguar F-TYPE 2.0 L 296 HP, $469 per month lease, 36 month lease, 10,000 miles per year, $5,995 total out of pocket, $0 security deposit, $895 acquisition fee and first month's payment, excludes retailer fees, taxes, title and registration fees, processing fee and any emission testing charge. Actual rates and payments of closed-end lease may vary. Supplies are limited. For well-qualified lessees as determined by approved lender. Not compatible with other customer credit offers or incentives. All amounts shown are estimates, retailer sets actual amounts. Lessee responsible for insurance, maintenance, excess wear and excess mileage over 22,500 miles at $0.15/mile. Based on MSRP of $60,750. Termination fee may apply. Customer must take new vehicle delivery from retailer stock by 4/30/2019. Jaguar or approved lender may rescind or amend this offer without notice. Dealer not responsible for typographical errors. See Jaguar Land Rover Treasure Coast for complete details.